Want to get to grips with all that Office 365 has to offer? Our upcoming series of 1 hour sessions will give you the basics to get started with two key Office 365 applications: Planner and Teams. Details are below. Sessions at University Park and Jubilee, there is no need to book – just turn up on the day! Please register your attendance for KMC sessions so we can track numbers. 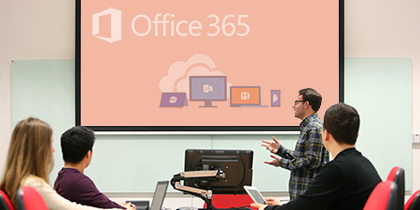 If you are unable to attend or wish to arrange a bespoke Office 365 session for your team or department, do not hesitate to contact us. To find out more about Office 365, keep updated via nottingham.ac.uk/go/Office365.